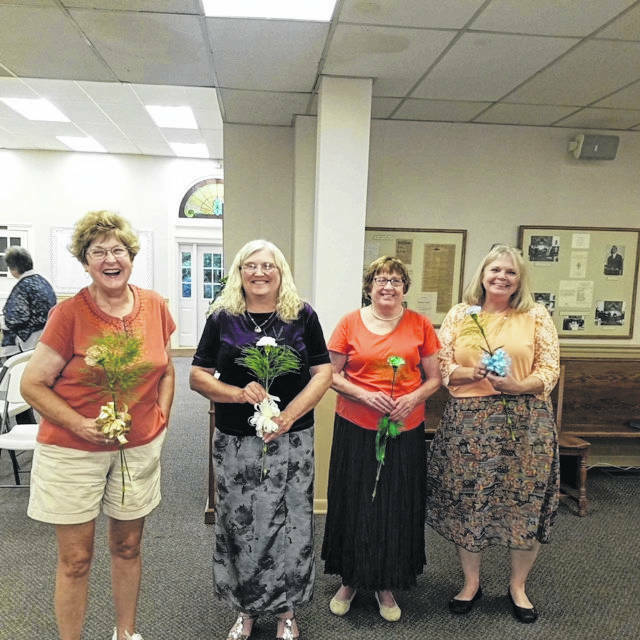 Officers for the Gallipolis Garden Club were installed at their September meeting. Shown left to right are Cathy Byrnes, treasurer;, Marti Yeoman, secretary; Phyllis Mason, vice-president and Carolyn Berry, president. Members look forward to a year of programs on the topics of Plant Today for Growth Tomorrow.